In 1872 a new box of dahlia roots was sent from Mexico to Holland and the only survivor produced a brilliant red bloom with petals that were rolled back and pointed. Immediately dahlias regained their place on the benches of plant breeders who began to successfully combine this new variety (D. juarezii) with parents of early varieties. These progenies have served as the parents of today’s hybrids. Breeders today propagate new cultivars using various techniques and creating fantastic new colors, shapes and plant habits that perform well in the garden. 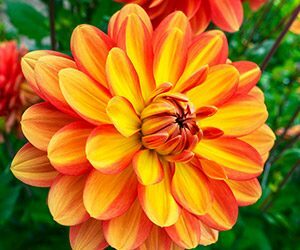 The American Dahlia Society (ADS) categorizes today’s dahlias into various groups based on size, form, and color. Those details can be found here. There are several ways to enjoy your first dahlia. Most major garden centers, home improvement stores, and mail-order sources sell dahlia tuberous roots (a thick, underground stem or rhizome) as well as blooming potted plants. This root looks like a sweet potato that grows under the soil surface and sends up strong stems. Additionally, almost every dahlia society has sales and they welcome guests to those events. Your tuberous root can go directly into the ground in the spring when the ground is warm and there is little chance of frost. One good guideline is to plant at the same time as you would a tomato. If you want blooms as early as possible, you can start the them indoors in good light about a month before planting time. By starting early you could have a small plant ready to transplant at planting time. Most dahlias need to be staked to avoid falling over at maturity. Best practice is placing the stake prior to planting to avoid damaging the roots. Tomato cages can also be a simple approach to staking. Plant according to the package directions with the “eye” on the tuber facing up. The eye is the point on the shoulder, or crown, of the tuber from which the plant grows. Go to the American Dahlia Society for this article on how to harvest and store your tuberous roots. 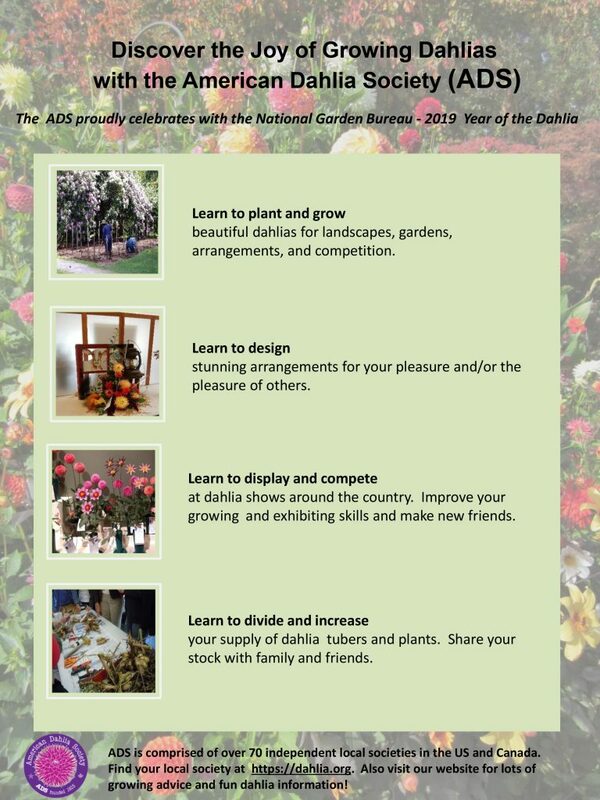 The National Garden Bureau recognizes and thanks The American Dahlia Society as author and contributor to this fact sheet. This fact sheet is provided as an educational service of the National Garden Bureau. 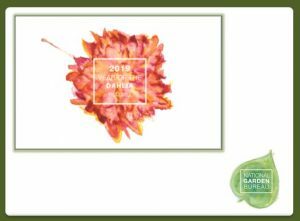 There are limitations on the use but please credit National Garden Bureau when using all or parts of this article or referencing the Year of the program. Color your world with flower bulbs and perennials from Longfield Gardens. Plant this spring for months of blooms from summer to fall. 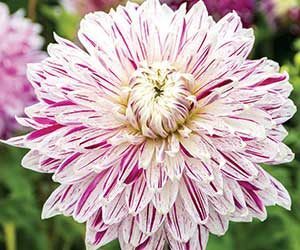 Avignon Dahlias dinnerplate white flowers striped with violet, provide stunning color from summer through frost. Download the Year of the Dahlia presentation on SlideShare. 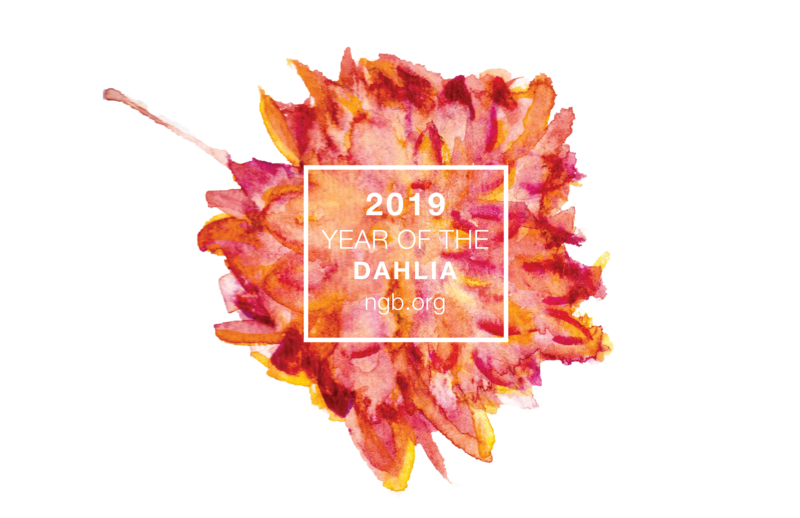 Click here to download the Year of the Dahlia logo. Click here to download the Year of the Dahlia PowerPoint presentation. 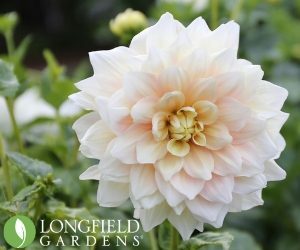 Click here to download the “Did You Know” printable Fun Facts about Dahlias.